For children to gain an appreciation of the natural world, they must engage with nature regularly. Spending time in the outdoors has so many benefits for children and they should be given the opportunity for outdoor learning everyday. Engaging with nature doesn’t always have to be strictly reserved for when children are outside. There are so many ways nature can be brought indoors into the classroom as part of children’s learning. 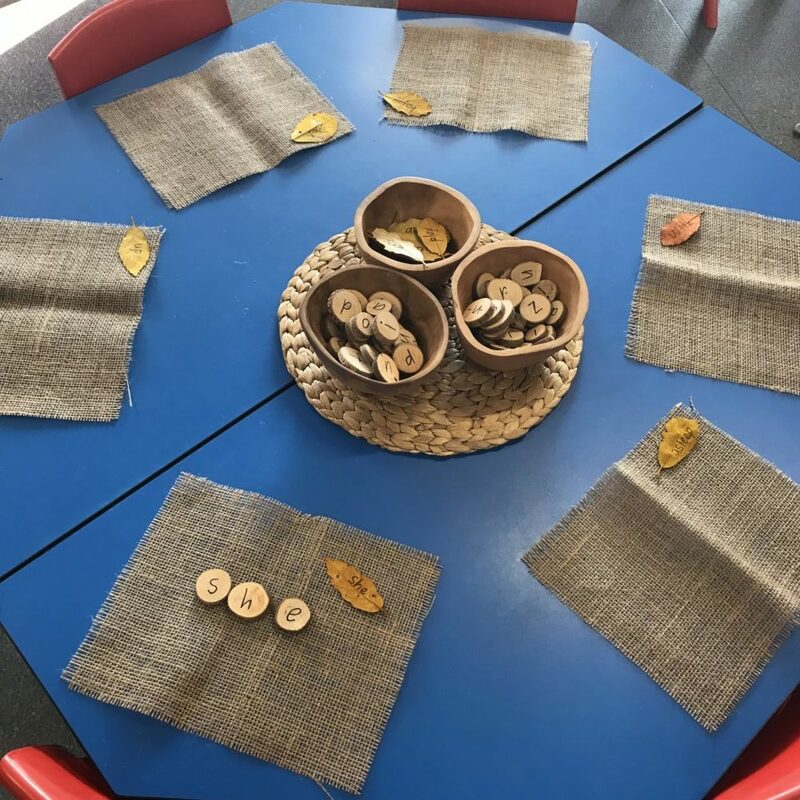 Using natural materials in the classroom stimulates children’s creativity and imagination and the open-ended aspect of the materials means that the possibilities are endless. Read on to find out some simple ways to bring nature indoors in your classroom. 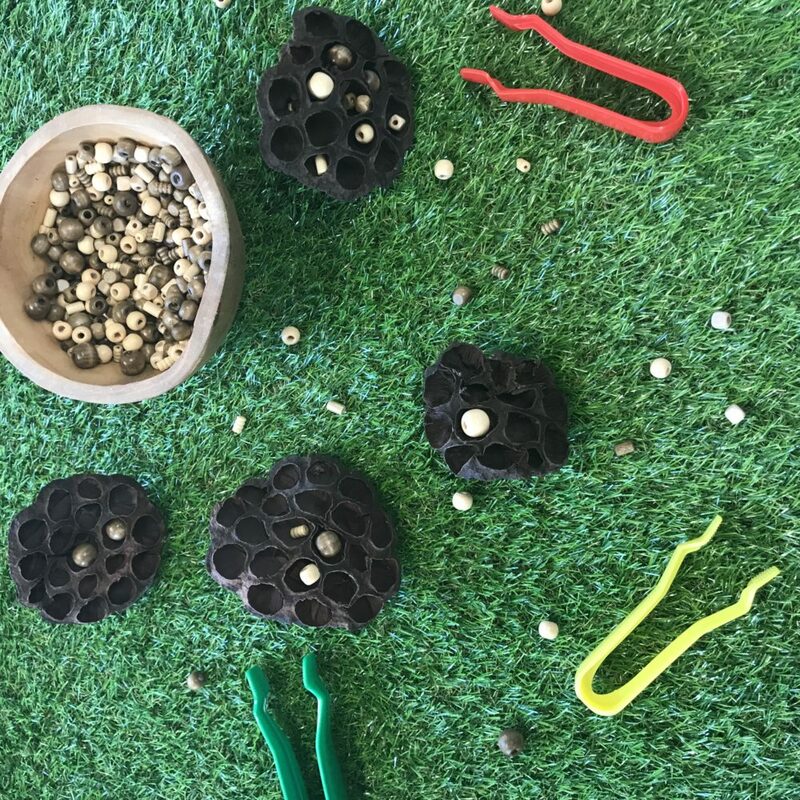 Natural items are perfect to use for loose part play in the classroom. Loose parts play offers children many learning opportunities such as creative thinking and inventiveness and encourages a sense of wonder. When children engage with loose part materials, they are able to manipulate the materials freely. Loose part materials can be moved, combined, sorted, lined up, spread out and designed in any way. Loose parts are entirely open-ended and allow children to create freely as the materials have no specific set of directions. 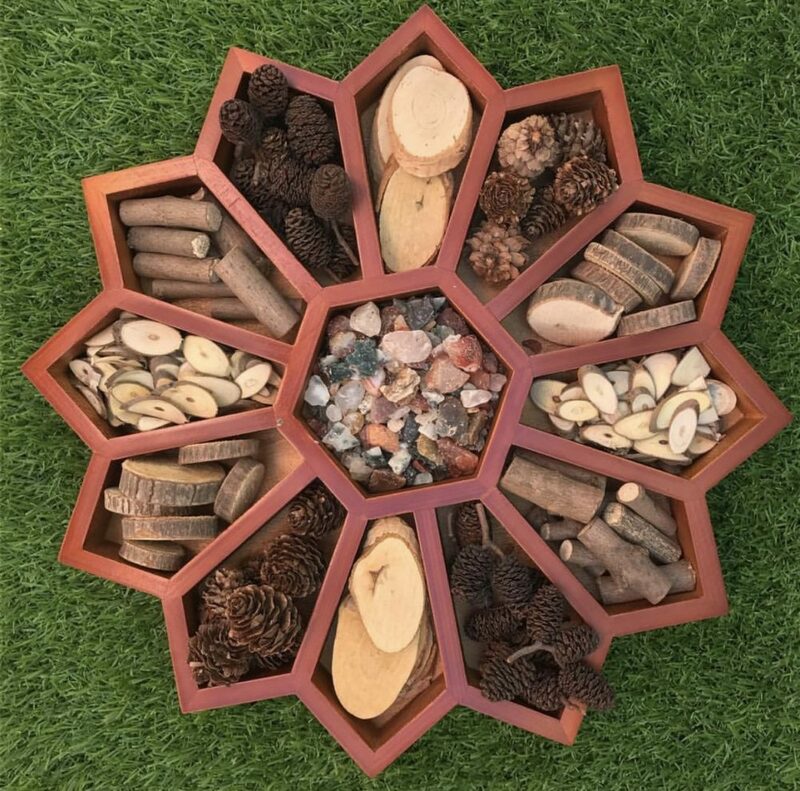 Natural items extend themselves beautifully to loose part play as they provide endless opportunities and encourage children to be creative. When using loose parts in the classroom, all I do is present the materials to my students and then they are free to create and explore. In this activity, my students and I spent time in the beautiful outdoors and collected leaves from our playground. As we collected the leaves, it was interesting to discuss the different variations in the leaves including their colour, size and texture. We used these leaves for a threading activity that developed our fine motor skills. We punched holes in the leaves and threaded wool through the holes. Some children then turned these beautiful creations into necklaces. Children love nature… children love art… so why not put the two together? 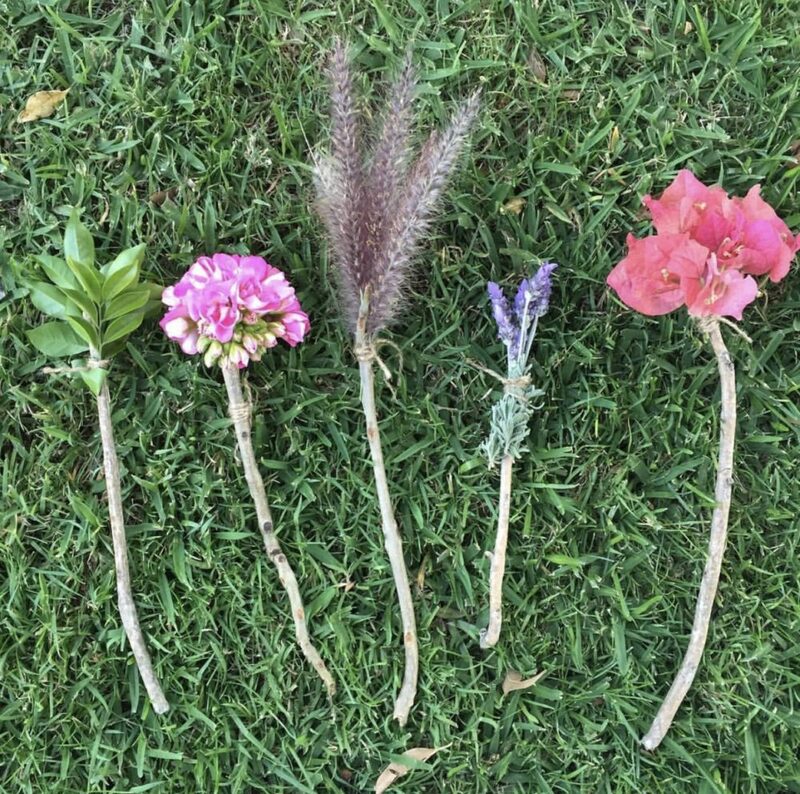 In this activity, my students and I went on a ‘nature hunt’ to find different natural materials to create our nature brushes. It was important to find a variety of materials in order to explore different textures. Once we collected our items we made our brushes and then used them for painting. While painting, children were able to explore the different textures that the nature brushes created. One of the most popular maths activities that I have done with my students is counting using twigs. 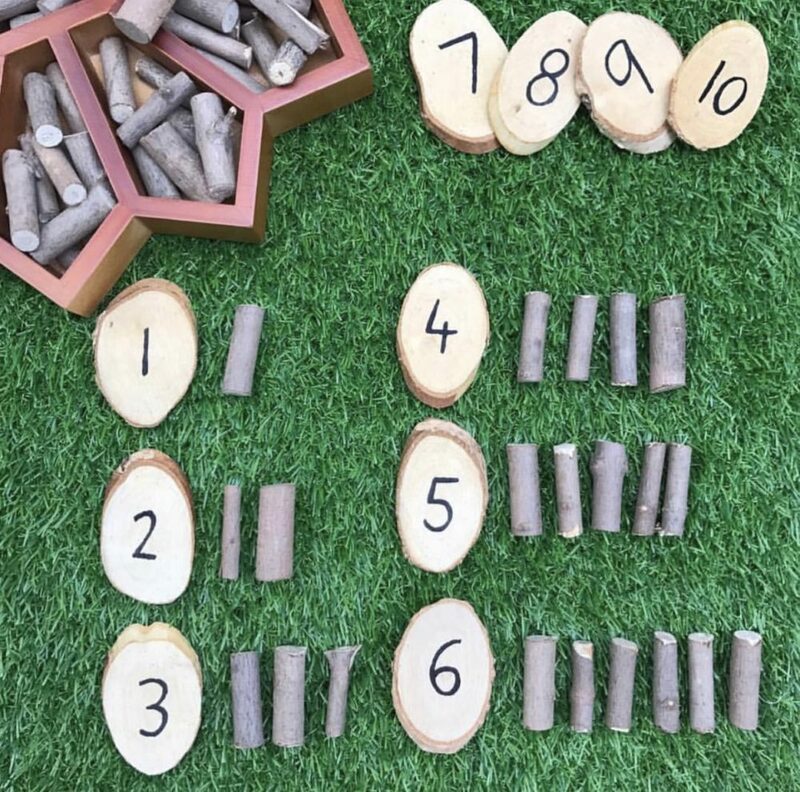 In this activity, children chose a number and then represented this number using twigs. As children engaged with this activity, they developed their recognition of numerals, their understanding that numerals can be represented as quantities and their one-to-one correspondence and counting skills. I am always looking for new ways to develop my students’ fine motor skills, as these skills are important for performing so many everyday and academic tasks. In this activity, children used tweezers to place beads inside the lotus pods’ holes. It was a fiddly and tricky activity that certainly worked the muscles in their little hands! 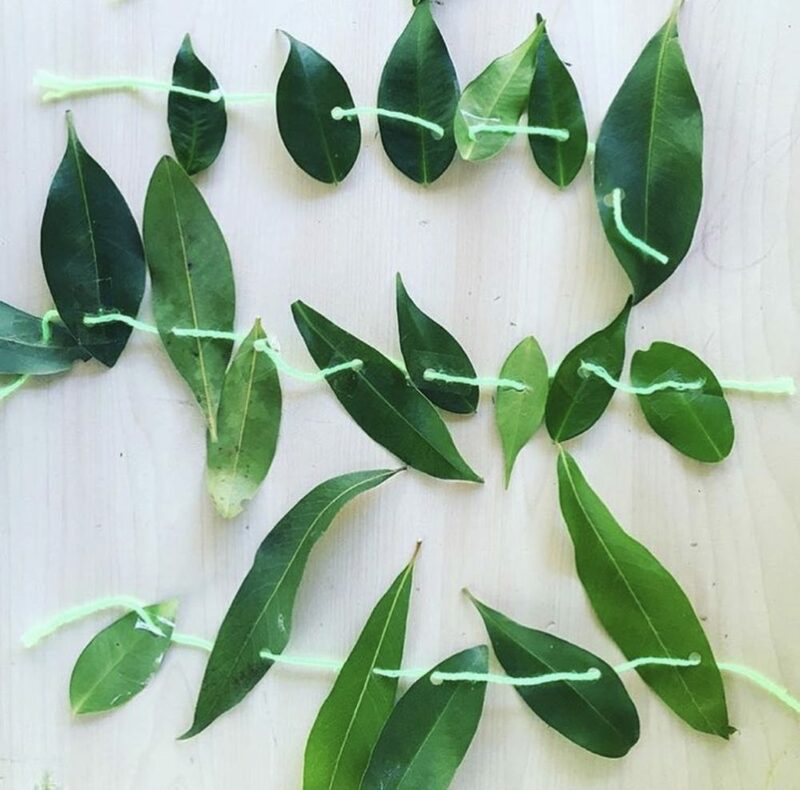 Leaves are such a versatile natural item that can be used in the classroom. In this activity, we collected leaves from our outdoor environment and then embellished them with alphabet stamps. As we did this, we explored letters of the alphabet. Another time we engaged with this activity, we took the learning a step further and used the alphabet stamps to spell out our names. This activity could easily be altered to practice sight words too. Learning the alphabet is a big part of the early years curriculum so I am continually planning different activities to explore this focus. This is one of my favourite activities I have implemented to encourage my students to explore the alphabet. 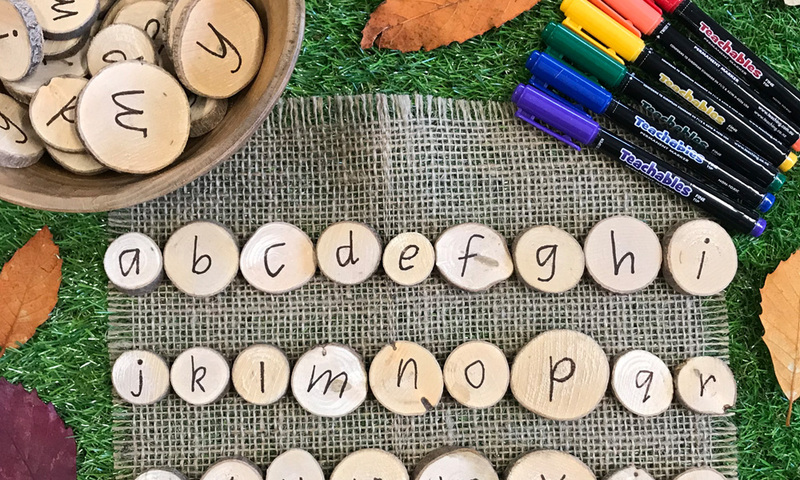 In this activity, students used natural resources such as pinecones, twigs and branch cuts to create and form the letters of the alphabet. 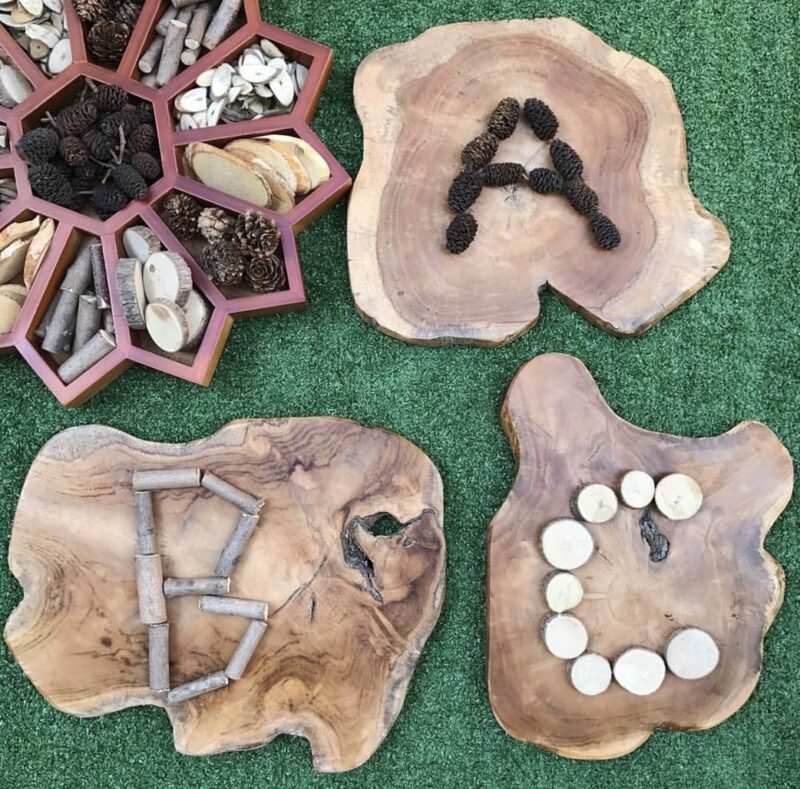 The Natural Wooden Slices created the perfect base for our alphabet creations. These alphabet discs are easily one of the best resources I have made in my teaching career. They were very easy to make and they can be used in so many different ways. I made them by writing the letters of the alphabet with permanent marker onto circular branch cuts. You could even get your students to help you make them! Some of the ways we have used them in the classroom is finding all of the letters in the alphabet and ordering them, matching them up with alphabet cards, spelling our names and matching uppercase and lowercase letters. 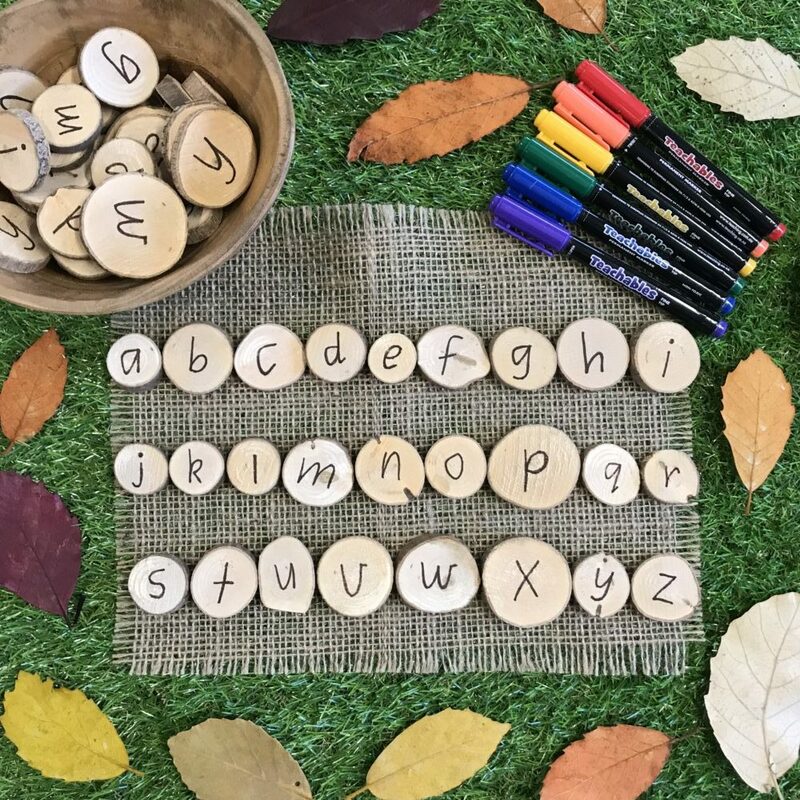 Another way we have used our DIY Alphabet Wooden Discs is for an activity where we practised our sight words. This activity is normally done during English rotations in small groups of 4-6 children. In this activity, students chose a sight word leaf and then used the alphabet wooden discs to spell out their sight words. The sight words on leaves add an extra natural element and they are very tactile for children to manipulate. The hessian material defines the space where each child works. Indoor plants have many health benefits and are an easy way to bring the outdoors inside. 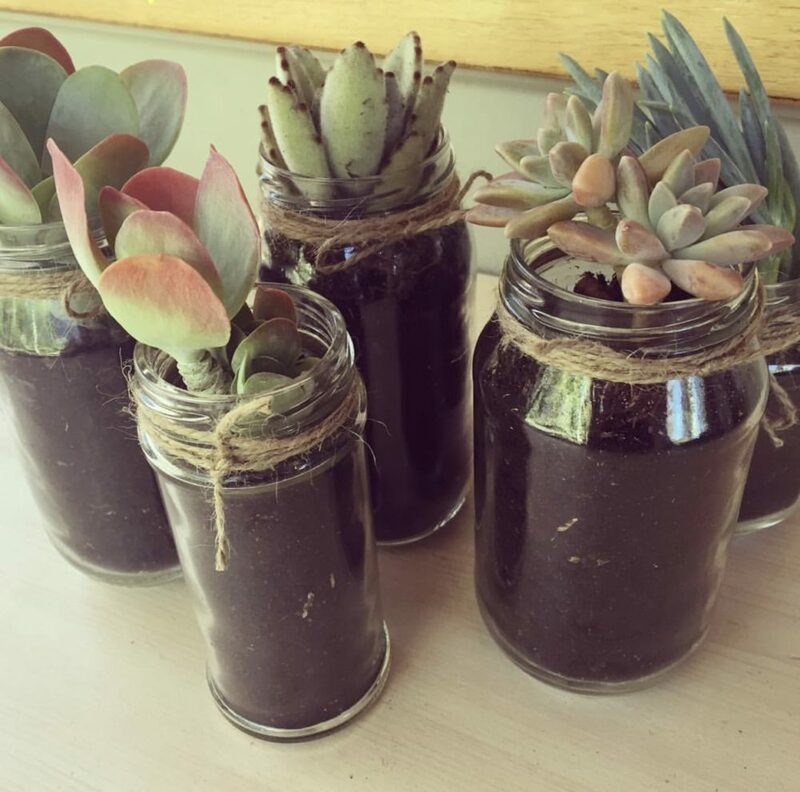 When I was teaching kindergarten, we made these beautiful succulent planters for our classroom. The process of making them was lots of fun and children learnt about responsibility and how to care for living things as they looked after our plants. What is your favourite natural resource to use in the classroom? We’d love to hear from you! Heidi Overbye from Learning Through Play is a Brisbane based, Early Years Teacher who currently teaches Prep, the first year of formal schooling in Queensland. Heidi is an advocate for play-based, hands-on learning experiences and creating stimulating and creative learning spaces. 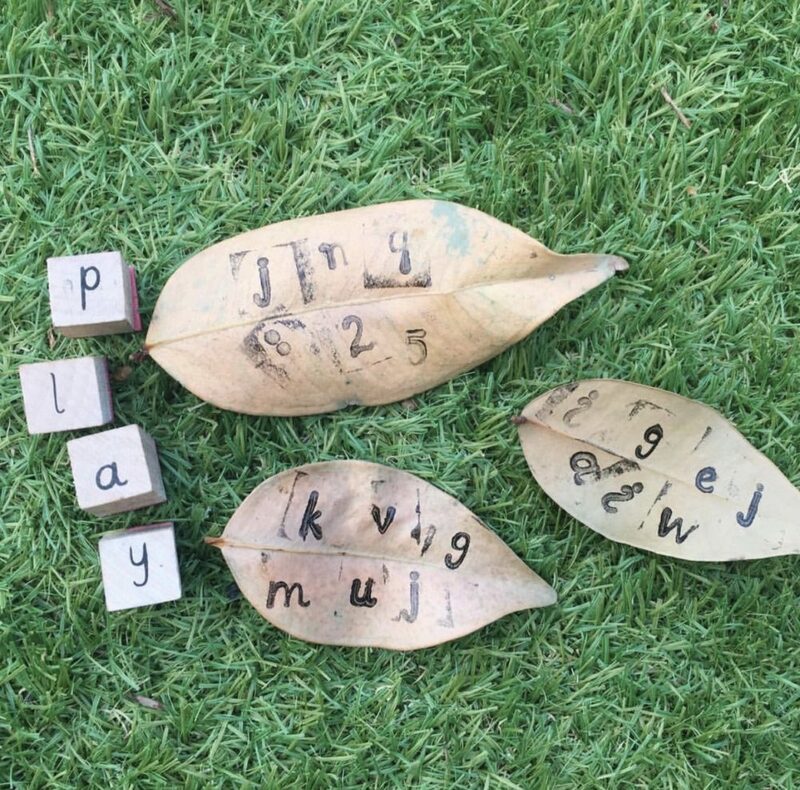 Heidi shares what happens in her classroom daily on her Instagram page, Learning Through Play. See @learning.through.play for a huge range of activities, play spaces and lesson ideas.